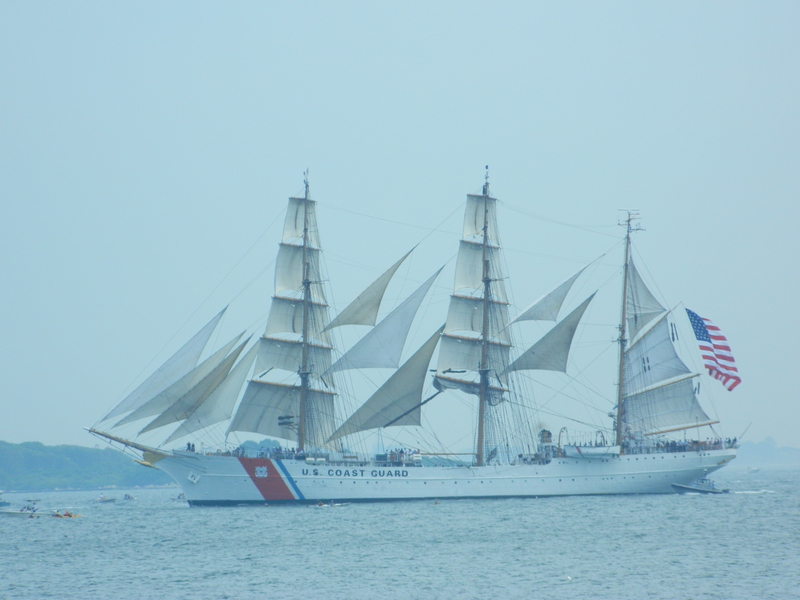 Under sail, the U.S. Coast Guard Barque Eagle leads OpSail CT 2012 into its homeport of New London CT on July 7. An unexpected snafu delayed the arrival of OpSail CT 2012 Parade of Sail on July 7, into its final port in New London, Connecticut. Expected to arrive around 10 a.m., the holdup left folks who had turned out early that morning to secure a shoreline vantage point, waiting an extra hour and a half under intense sun and in sweltering heat wondering what went awry. Some gave up and left. According to The Day of New London, the anchor chain for the U.S. Coast Guard Barque Eagle got tangled. Fortunately, the paper noted, the crew was able to untangle it allowing the Eagle as planned, and with Connecticut Gov. Dannel Malloy on board, to lead the procession of ships into its homeport which was the final stop for OpSail. The event commemorated the bicentennial of the War of 1812, during which Francis Scott Key penned words for what later became the “Star-Spangled Banner,” the national anthem. At dawn, after witnessing the Battle of Baltimore in 1814, Key was inspired to write the famous words when he saw an American flag still waving at Fort McHenry. USS Carter Hall naval ship. 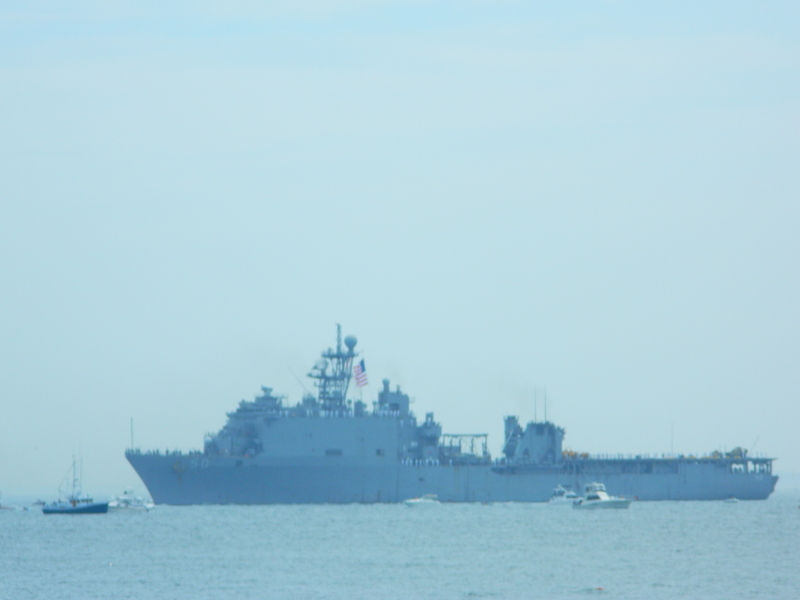 Despite haze over the water, for the thousands who waited for Saturday’s Parade of Sail, that first sight of the Eagle was cause for “ohs and ahs.” Following immediately behind was a naval ship, the USS Carter Hall and then a tall ship. After a bit of a gap, came about twenty more vessels. They navigated up the water from Niantic, where they had gathered on Friday. After making their way into New London, the ships docked at Fort Trumbull and City Pier.The Day reported the last time the Eagle came into its homeport under sail rather than using its engine, was for OpSail 2000. 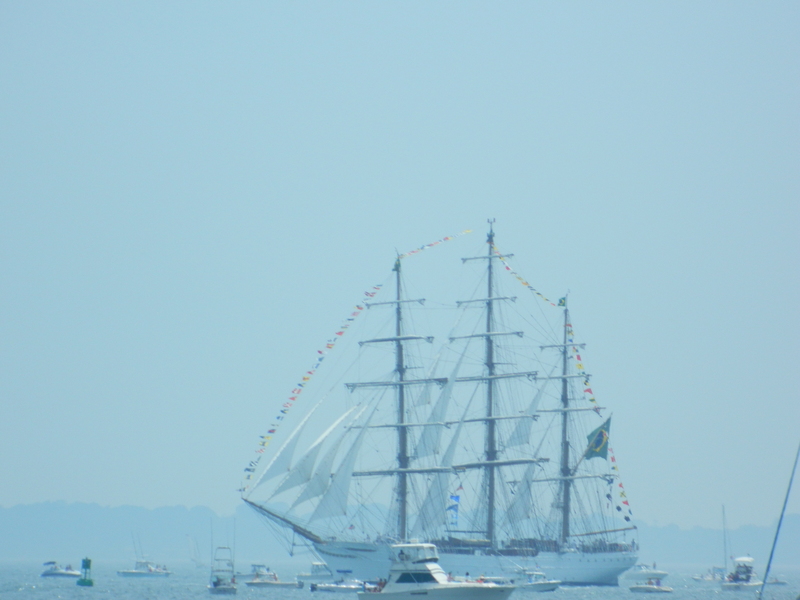 With other vessels nearby, a tall ship sails into New London as part of OpSail Ct 2012. Along Pequot Avenue, former congressman Republican Chris Shays and his wife Betsi, shook hands and spent time talking with people as they campaigned for the August GOP primary which Shays hopes to win and run for the U.S. Senate in the November election. “Chris sees the country is in need and he feels he can help,” said Betsi. Pictured on the right , Republican Chris Shays campaigns along Pequot Ave. for the August primary. 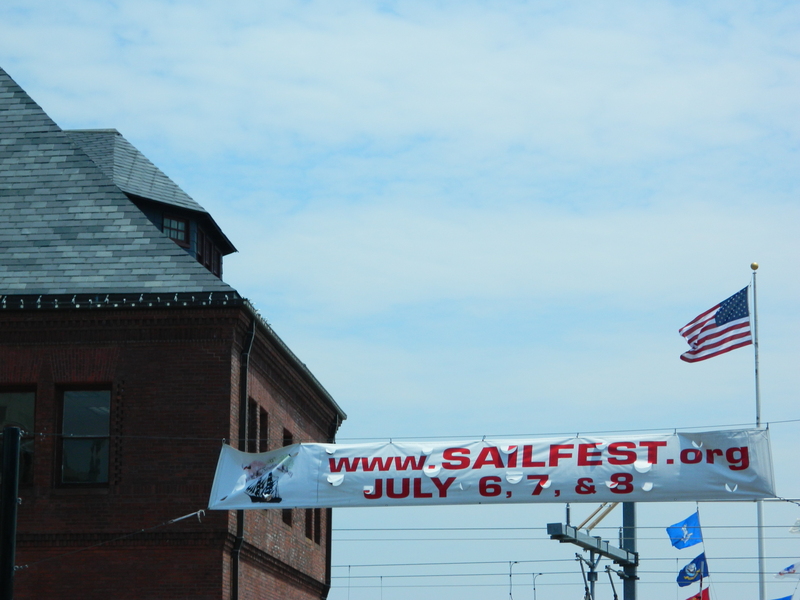 As well, Sailfest in its 35th year, ran July, 6, 7 and 8, in downtown New London. 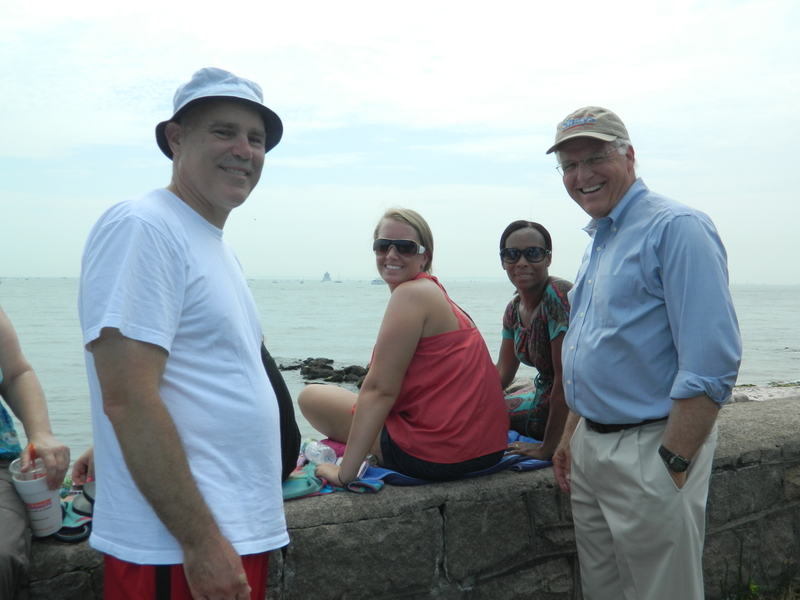 Held concurrently with OpSail on Saturday, the streets bustled with festival goers. 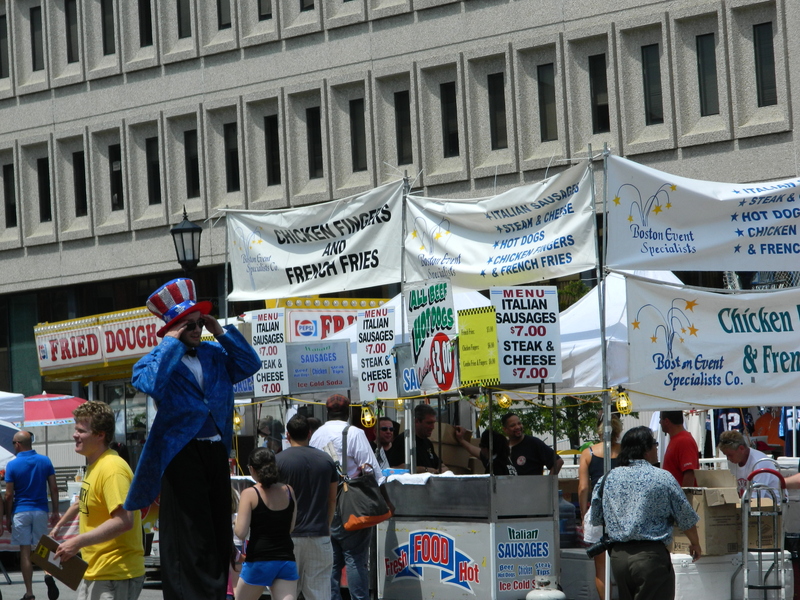 Downtown New London was bustling during Sailfest.